Of the 142 enterprise IT pros surveyed in No Jitter’s 2018 Video Collaboration Survey, the majority indicated their organizations already support some form of video communications – and expect the number of regular users to grow over the next 12 months. 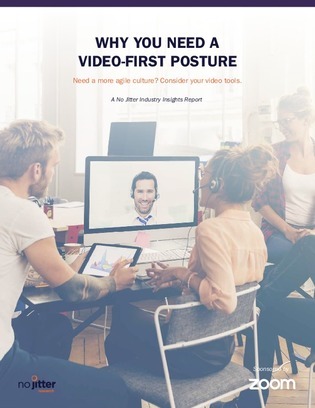 But complexity can hamper video deployments, limit usage, and reduce the productivity that yields from investments in video-based collaboration. Find out how to deliver a user-friendly experience with cloud-based video platforms that simplify collaboration across mobile devices, desktops, and on-premise in physical meeting spaces.